Read about these yummy goodies and enter in the widget below! 3 winners will be chosen in one weeks time! 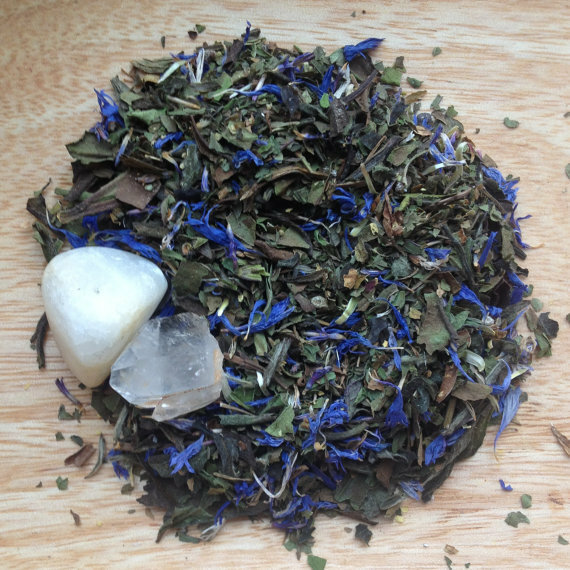 Frost and Hearth Tea Blends from Conscious Apothecary! Conscious Apothecary is a shop of Conscious Teas and Treasures focusing on holistic health and natural wellness. Each tea and treasure is lovingly crafted to bring balance to the mind, body, and spirit. Organic botanicals, crystal infusions, and brewing mantras, combined with the ritual of tea awakens our deepest connection to Mother Earth within our souls. Each Conscious blend helps to nurture this connection and strengthens its bond, while working with one’s energy to establish peace and balance. For this giveaway I will be offering two winter seasonal blends! Frost and Hearth. they are each other’s Yin Yang counterpart evoking the seasonal energies we are experiencing! Frost is a Yin tea, focusing on the Water element that dominates the Winter. Hearth is a Yang tea, bringing in the warmth of the Fire element so that we can establish a balance during the cold! 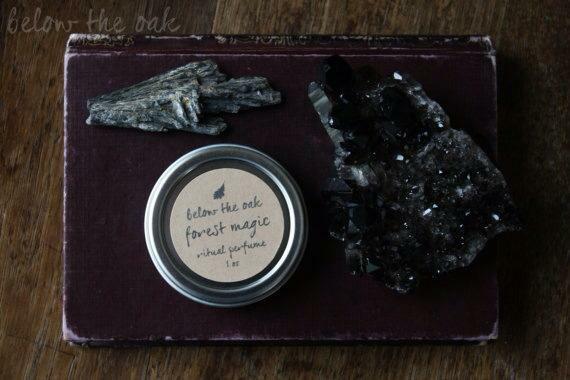 Below the Oak offers incense, oils, perfumes, ritual tools, bones, jewelry and more. All handmade in the middle of an enchanted woodland. I hope to offer knit/ crocheted good soon, as well as a new line of body and bath oil, all crafted with magical intent. Requests for custom collections are welcomed! Forest Magic... Rustling leaves and scurrying sounds... birds overhead... moss underfoot and stirring wind. This blend is both earthy and sweet... mimicking the forest floor with its damp mosses and hidden wildflowers. Using a base of beeswax, grapeseed oil, essential oils and organic herbs were added to help you for connecting with forest spirits, elements, animal magic, earth magic, fertility spells, virility and stamina spells. Each month you will have an original inspired collage to contemplate, inspire & activate your intentions. We also included some fun dates to get you out of the expected holiday routine and into a new playful way of experiencing life. Remember...Each day we have the choice to celebrate this beautiful life with all levels of creation. What a blessing to be here with you co~creating the new earth! This calendar is also biodegradable & compostable! Printed on Banana Paper, which is made from agricultural waste & post-consumer fibers, made without trees--the best paper around! In addition, the paper has not been bleached and the natural fibers show adding a beautiful visual texture to our work.